Although a recent graduate, Phyllis Fletcher’s career has had a deep impact on radio stations across the Pacific Northwest. Fletcher earned her Master’s degree in Communication in June 2011. She also graduated with a fellowship from the UW Center for Studies in Demography and Ecology. She has also written and spoken on numerous occasions to students from elementary school through graduate school and in professional settings, on topics of her expertise including oral history interviewing, audio production, journalism ethics, career and staff development and media access. Fletcher’s community involvement has affected dozens of mentees and journalists, hundreds of workshop participants, and hundreds of thousands of readers and listeners to public media in the northwest region and across the country. 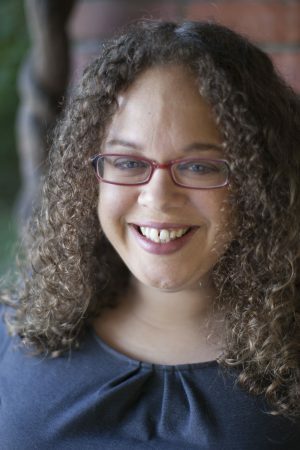 Other organizations have recognized Fletcher by electing her to the position of Interim President of the Seattle Association of Black Journalists, profiling her in her undergraduate and graduate alumni magazines (Columbia College Today, Viewpoint and Columns), and awarding her a myriad of professional journalism awards. Fletcher’s national impact continues to be felt throughout the public media system. Her and her reporters’ work is broadcast domestically on National Public Radio and internationally on the CBC, the BBC and Voice of America. Her mentees have secured jobs at public radio stations and networks across the country. Listeners from across the country have contacted her and her broadcast outlets to commend her work.